Karolina Jasko was diagnosed with melanoma when she was a senior in high school. When Karolina Jasko became Miss Illinois last year, no one really knew how much she had been through. In 2016, at only 18 years old, Karolina was diagnosed with melanoma, a type of skin cancer. She was a senior in high school. Karolina told BuzzFeed that she and her nail tech saw a black vertical line on her right thumbnail when she was in the process of taking off her old acrylic nail set to get a new one. Karolina said she started getting her nails done when she was a freshman in high school. "I would get acrylics put on once or twice every other month." 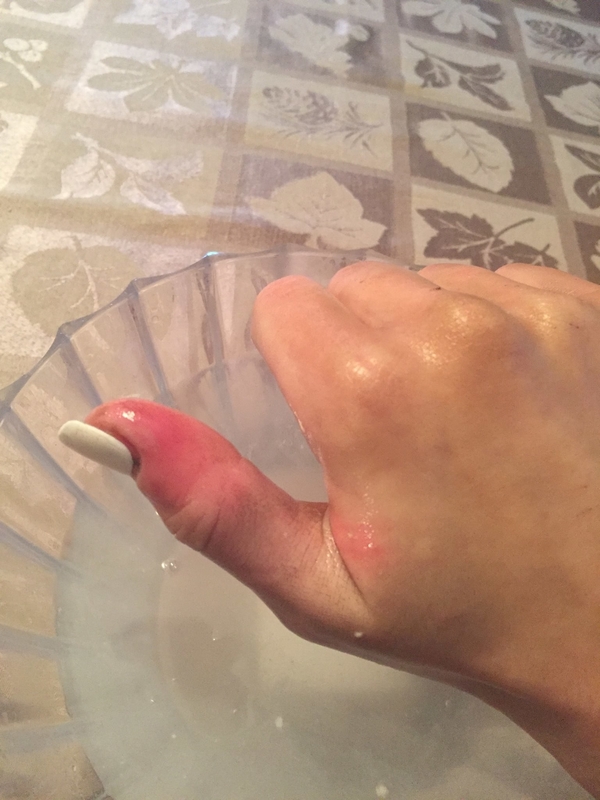 Going into surgery, there was a possibility Karolina's thumb would have to be amputated because the doctors were not sure how deep the cancer was. 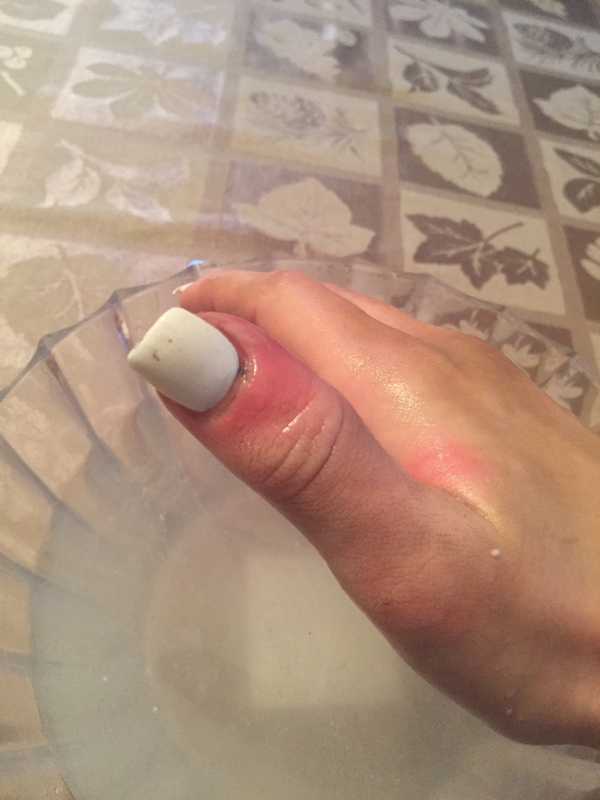 "Luckily, they were able to just remove my whole nail matrix. I don't have a nail on that thumb and never will, due to them removing the matrix," said Karolina. "I experienced a lot of different feelings when I got my diagnosis. I was scared, but also confused. I didn't think that this could happen to me, so I was in a little bit of shock. I'm very thankful for my doctors and my early diagnosis because this could have been a lot worse, so I feel lucky." Karolina's melanoma was likely genetic, however, doctors told her the UV rays from the gel manicures could have brought the cancer out sooner. Before becoming Miss Illinois, Karolina said she was incredibly self conscious of her scars. "I was embarrassed because I thought people noticed them and it was something to be ashamed of, especially the thumb. I wore a bandaid every time I was in public for the first year after it healed because of how scared I was of someone asking me or being grossed out by it." "Once I started to feel more comfortable in my role as Miss Illinois, and from speaking to my directors and everyone involved in my life, I realized I was granted an incredible opportunity," said Karolina. She has been using her voice to spread awareness about the dangers of UV rays and melanoma. Karolina added, "I also wanted to show girls that they need to be confident in their own skin and with their imperfections. I was able to become Miss Illinois and compete on the Miss USA stage with mine. Everyone is beautiful in their own way and they need to embrace that and feel comfortable in their skin. I'm still learning to do so, but I've come a long way." Karolina said she has two sets of advice to young girls. "Remember to love yourself. Whether you have a scar from an accident or a surgery, or even a birthmark you don't like, no matter what you feel uncomfortable and insecure about... you don't need to. You are beautiful in your own way, everyone is. Our "imperfections" are what make us unique and what make us beautiful." She added, "Please consider going to the dermatologist once a year, just to be safe and make sure you're alright. We get lots of sun exposure; make sure you're protecting yourself by wearing sunscreen. Try to avoid tanning beds and UV rays at the nail salon as much as you can. Just take care of yourself."